Rear Admiral Sir Francis Beaufort, KCB, FRS, FRGS, FRAS, MRIA (27 May 1774 – 17 December 1857) was an Irish hydrographer and officer in the English Royal Navy. Beaufort gained notoriety as the creator of the Beaufort Scale for indicating wind force. In 1829, Beaufort was elected as a Fellow of the Royal Astronomical Society, and at the age of 55, a retirement age for most administrative contemporaries of the day, Beaufort was appointed as the British Admiralty Hydrographer of the Navy. It was at this post that Beaufort served for 25 years, till he was seventy. Beaufort converted what had been a minor Navy chart repository into the finest surveying and charting institution in the world at the time. In fact, some of the excellent charts the Office produced under his tutelage are still in use today. During his tenure, Beaufort took over the administrative sectors of the great astronomical observatories located at Greenwich, England, and at Africa's Cape of Good Hope. Beaufort directed some of the major maritime explorations mounted at the time and oversaw most of the important experiments conducted of that period. In fact it was for a period of eight years, that Beaufort directed the Arctic Council during its search for the missing Arctic explorer, Sir John Franklin - who was vanished during his last polar expedition to search for the legendary Northwest Passage. Beaufort also helped found the Royal Geographic Society. As a council member of the Royal Society and the Royal Observatory, Beaufort used his position and prestige as a top administrator to act as a "middleman" for many scientists of his day. Beaufort adamantly represented the geographers, astronomers, oceanographers, geodesists, and meteorologists to British Hydrographic Office, which could support their researches conducted by these various factions. 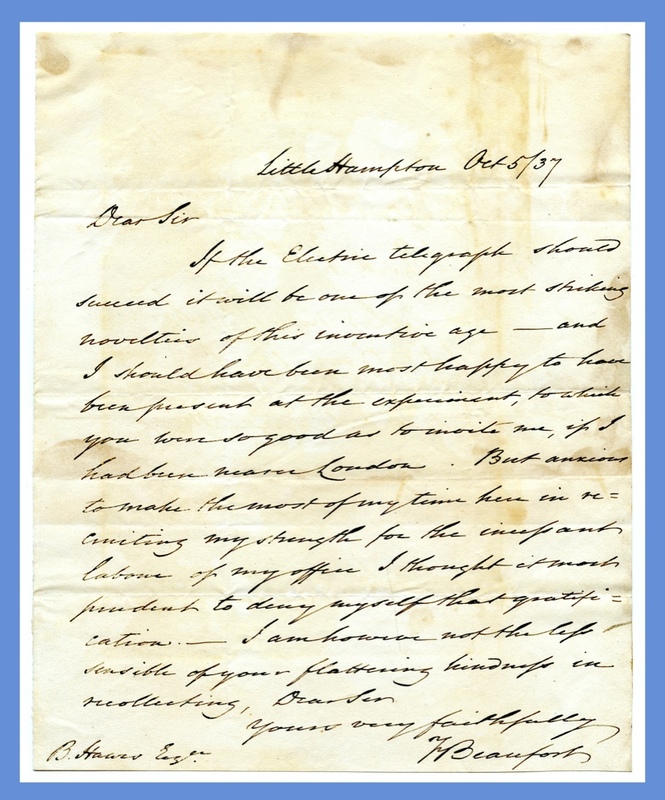 While facing many objections, Beaufort obtained UK government support for the 1839-1843 Antarctic voyage by James Clark Ross for obtaining extensive measurements of terrestrial magnetism that came to be coordinated with similar measurements obtained in Europe and Asia at the time. Beaufort promoted the development of reliable tide tables around British shores. These efforts were recognized worldwide and actually inspired similar research by Europe and North America data collection and statistician teams. While coming to the aid of William Whewell, a close associate and friend of his, Beaufort came to gain the support of the Prime Minister- the Duke of Wellington and significantly expanded record-keeping at 200 British Coast guard stations. Beaufort also provided enthusiastic support to Sir George Airy, another close friend who was the Astronomer Royal and noted mathematician - at achieving a historic period of measurements by the Greenwich and Good Hope observatories he had been an administrator of in earlier years. Sir Benjamin Hawes (1797 – 15 May 1862) was first a soap manufacturer and then went on to support the public good operating as a British Whig politician. Benjamin Hawes was educated in Putney at the William Carmalt school. As a young man Hawes entered into partnership with his father and uncle in 1818 engaging in the business of soap-boiling. Despite Hawes having spent relatively little of his life in the soap industry, he nevertheless later became known in parliament as "Hawes the Soap-Boiler" not long after he would come to join its constituency in a few short years. But first Benjamin Hawes became a magistrate for Surrey in 1828. It was then in the year 1832 that he was elected as a Member of Parliament for Lambeth at the general election that year. As a member of parliament Hawes quickly came to propose radical changes in several areas. He promoted technical advances, and was the instigator besides becoming an initial member of the Royal Fine Art Commission in 1841. Though not a member of the Anti-Corn Law League, he stood quickly in parliament as an advocate of the repeal of the Corn Laws. Hawes also worked on behalf of the penny postage system and was a staunch supporter of the Thames tunnel scheme and construction - which, it should be noted, his wife's brother and his brother in law Isambard Kingdom Brunel was the man behind its design and construction. In that day and age, it certainly was a marvel beyond all comphrension. 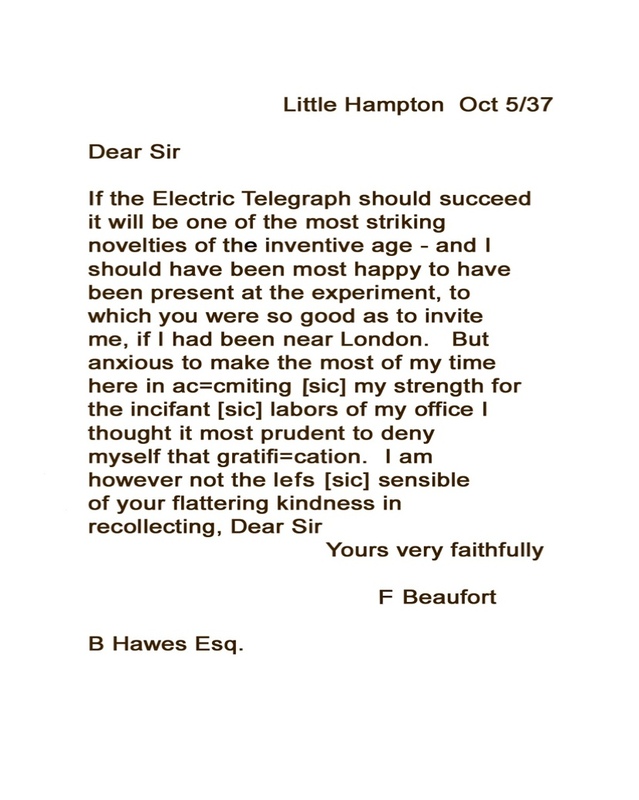 Most significantly Benjamin Hawes was one of the earliest proponents of the electric telegraph, and made the first arrangement for the partnership between Sir William Fothergill Cooke and Sir Charles Wheatstone in 1837. When Robert Peel made the 1842 announcement in parliament for the removal of support for the difference engine, Hawes was the only Member of Parliament to speak in its support. Morse made sure he stole the idea for the 1844 introduced "Vail Lever Correspondent" telegraph key from William Fothergill Cooke's much earlier executed manuscript journal that machinist Frederick Kerby had brought first to America in 1842.